Welcome to my shopping at Rite Aid Guide! 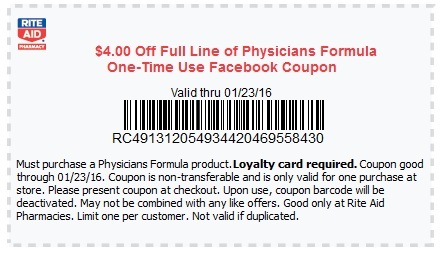 You can find the Rite Aid Coupon Acceptance Policy updated live at any time. It will give you the general guidelines for coupon shopping at Rite Aid. This policy is your general basic policy you find at most places. The first thing you will need to obtain to start couponing at Rite Aid is to have a Rite Aid card. This was called a Wellness+ Card. Last year(2015) this card merged with the National Plenti Points program. The Rite Aid store card is now called the Wellness+Plenti Card. So as you can see from the picture, the National Plenti Points Program is a National Points system, more info Here(basically you can earn points at one retailer, and use those points anywhere Plenti is accepted). You can sign up for Free for a Plenti card at any Rite Aid store. For Rite Aid shopping, these Plenti Points are basically the “New” Rite Aid promo store money. Walgreens has Register Rewards and Reward Points, But Rite Aid just has one form of Store promo money, Plenti Points. You buy things that give you Plenti Points, and then you can Buy things with Plenti Points. You can ask for a Wellness+Plenti Card at any Rite Aid. You give your Name and Phone Number and optionally your email when signing up. They will give you the Wellness+Plenti Card and some instructions to finish the signup process online or via the phone. I found that it was just as easy for me to finish signing up on the computer. They will ask you to go here, Plenti New Sign Up page. During this process you will set for yourself a PIN number. This will allow you to use your Wellness+Plenti Card via your phone number without having to bring your card. They use the PIN to verify that phone number belongs to you. You can use your card at the store to earn points, but you will not be able to use/redeem any of those points until you completely finish signing up. You can only have ONE Wellness+Plenti Card per phone number/email/Rita Aid Wellness account. Every 100 Plenti Points are equal to $1. Before you redeem any Plenti Points, you will need to have at least 200 points($2) in your Plenti Account. If you earn Plenti Points in a transaction, you will not be able to use those Plenti Points until 6am the NEXT day. Let’s say I use 249(out of my 500) Plenti Points to initially pay for the toothpaste. Remember I need to at least redeem 200 points on any transaction, which I am, I’m redeeming 249. That means I would pay NOTHING for the toothpaste at the register, AND I would earn 300 points. That would mean I would have 251 Plenti Points remaining on my Plenti Account(500PP-249PP=251 Plenti Points). I would then have 551($5.51 value) Plenti Points the next day at 6am. ADVANCED USER TIP: There is a way to share Plenti Points. Plenti allows you to “Pool” up to 3 total Plenti Cards together. That means you would have 3 different Wellness+Plenti Card, Let’s say you had one, and your BFF has his/her Wellness+Plenti Account, and your other mostly BFF has his/her Wellness+Plenti Account. You guys could decide to come together and “Pool” all 3 of your accounts into one Plenti Point Pool. You guys would share 100% one pot of Plenti Points. Your Wellness+Plenti Cards will still operate as 3 separate cards(you all get separate promo limits), but you would all share the same points. The normal Plenti Points rules apply. The only real downside to “Pooling” is that you can NEVER “un-pool” these Wellness+Plenti Cards, you know….if you decide your current BFF is no longer worthy. 🙂 To Pool you accounts, Just call Plenti at 1-855-753-6841. Follow the prompts to “Pooling.” They will verify all your information from your account, and then The Customer Service person will need to talk to each of your friends, and verify all of their information. Once verified, your accounts will instantly Pooled. 🙂 Here is the fine print from Plenti’s website regarding pooling. Pooling Accounts. If you wish, you may pool your Plenti account with the accounts of other Members. Up to three (3) accounts may be pooled. When pooled, each account will remain active and can be used to either earn or use Points. However, all of the Points across the pooled accounts will form a single balance that can be used by each Member, and that will be subject to deductions relating to each Member (for example, if merchandise is returned). Any pooled Member can use all of the pooled Points at any time, without the knowledge or consent of other pooled Members, regardless of whether that Member made any of the purchases that earned those Points. If you pool accounts, each Member will be able to view how other Members in the pooled accounts earn and use Points. For example, if a pooled Member redeems a promotional offer by purchasing a certain product at a Sponsor, then each Member in the pooled accounts could view that activity. Once pooled, Plenti accounts cannot be unpooled. If you wish to cease pooling, you will need to open a new Plenti account and cancel your existing account. If you cancel your existing account, you will no longer be able to use any Points that may remain in the pooled account for the other Members. Bronze Level: When you get spend 250 dollars in a single Calendar Year, your Wellness+Plenti Card will be at the Silver Level. That means you will receive 10% off Rite Aid Brand Items at regular price you buy at Rite Aid. Silver Level: When you get spend 500 dollars in a single Calendar Year, your Wellness+Plenti Card will be at the Silver Level. That means you will receive 10% off every item at regular price you buy at Rite Aid. You get this 10% discount for the rest of the Calendar Year AND the NEXT entire Calendar year. Gold Level:When you get spend 1000 dollars in a single Calendar Year, your Wellness+Plenti Card will be at the Gold Level. That means you will receive 20% off every item at regular price you buy at Rite Aid. You get this 20% discount for the rest of the Calendar Year AND the NEXT entire Calendar year. Every dollar you spend accrues towards this discount. Every Manufacturer Coupon you use accrues towards this discount. Every Plenti Point used accrues towards this discount. The dollar amount rounds down to the nearest even dollar, ie $7.59 = $7 towards the next Bronze-Silver-Gold discount. It does take a bit of time to hit these levels, but once you are there, it truly is a way to get some Great deals on things. If you can work your way up to the Gold Level, very few weeks go by where there is not some awesome deal you can get for FREE with the discount. You can see how the discounts could really help. Now Let’s Say there was a sale on this Advil 80ct for $6. The discounts come off the regular price. So the 10% off or 20% discounts only come in to play when you get it mathematically is a better deal than any sales price. You will get the lowest price you can whether that be the sale price or the shelf price with one of the discounts, never both. Rite Aid issues various in-ad coupons and special Flyer coupons from time to time. Think of them as Rite Aid STORE Coupons. Rite Aid has 3 different Types. Rite Aid Manufacturer Coupons: Rite Aid Manufacturer coupons generally appear in the weekly circular, on the Rite Aid website and/or are sent to customers via email. These coupons are labeled “manufacturer coupon” and have a Special UPC that always begins with “49”.” Here is an Example, Notice the RC49… under the bar code. Total Purchase Coupons: Rite Aid may feature total purchase coupons, which discount the total purchase amount based upon meeting specific requirements. For example, $5 off a $25 purchase price threshold coupon. Only one total purchase coupon per transaction. Total purchase equals or exceeds $25 before tax (before any coupons are applied). Have your cashier scan these FIRST. The coupon amount will not kick out of the system if other coupons are scanned after this one that bring the dollar amount under the Total Purchase Coupon threshold. These coupons do NOT affect a money threshold for a Plenti Point Promotion. For instance, If you need $25 of Colgate items to receive $10 back in Plenti Points, and you had a $5 off $20 coupon, that would be OK. The $5/$20 would NOT affect that $25 threshold to trigger those points. No more than one “48” Rite Aid Valuable coupon, one “49” Rite Aid Manufacturer coupon, and one normal Manufacturer coupon can be used on a single item. Rite Aid also has the ability to load Manufacturer Coupons directly to your Wellness+Plenti Cards. These can be found at the Rite Aid Load2Card section of their website. You can find many of the same coupons that come in the Sunday papers, online, to load to your Wellness+Plenti Card. If you do load one of these digital Manufacturer Coupons, of course you will not be able to use a normal newspaper or printable Manufacturer Coupon. This is just another option to you. The Plenti “Household” offers are a promotion from Savingstar. It works exactly like Savingstar except instead of Money Back to your PayPal, you get the “Money Back” in Plenti Points. For instance, perhaps there is a Savingstar rebate for $2.00 When You Buy a Dove Dry Spray Deodorant. With the Plenti “Household” offers you would get 200 points When You Buy a Dove Dry Spray Deodorant. Same amount of rebate money back, just one is “cash” and one is Plenti points. The important thing to know is you can only do ONE or the OTHER, not both. Since you link your Plenti Cards to Savingstar, “They” know what you load. If you load the(for instance) $2.00 When You Buy a Dove Dry Spray Deodorant Savingstar rebate, That offer is NOT available in Plenti “Household” offers, and of course vice versa. You can access the Plenti “Household” Offers by clicking the following, Plenti Household Offers. Once you select a rebate, the system will automatically give you your points within 72 hours of purchasing a rebate item. If I do a return and earned Plenti Points in the transaction, what happens to the Plenti Points when I return my item(s)?